You can check out the latest North Coast Section (NCS) rankings at this LINK. 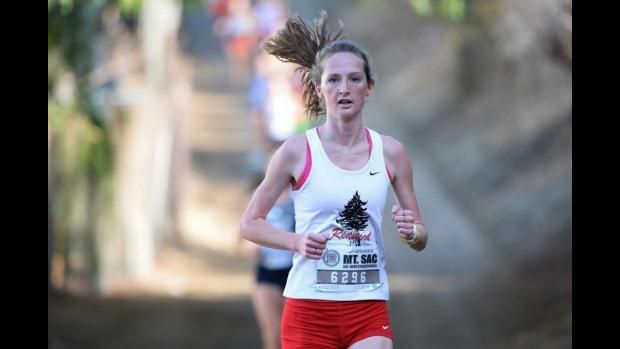 With most of the league events now complete, the road to the state meet from the NCS MOC meet is becoming more clear. Feel free to comment below if I missed any athletes or teams. It looks like for DII boys individuals, they just loaded the top 5 DII finishers from the EBAL league finals on the 11/4 @ Shadow Cliffs, really? Don't know why Phanse didn't finish with a time you would expect him to finish with, but he dropped out of top 5. White from Clayton Valley Charter, ran a 15:07 2.95 mile at Newhall center meet, a 15:20 at Mariner Invite (3.0 mile), and runs a 15:47 DAL finals time (3 miles) at Hidden Valley - and continues to get no inclusion in top 5. Charvett won his league championships race. Dublin's Middleton who was in last top 5, didn't run in EBAL finals, and dropped out of top 5. If you're going to rank the best top 5 individual DII boys runners, at least look at some of the other fine runners outside EBAL. Appreciate the comment and all the names you mentioned were considered. They will also all be included in the official preview for the NCS meet. As you can see, this will once again be the most competitive race of the day. Some very good runners and teams will not make state. I did not see Miles of Campo in the DAL results, still ranked! Any idea where and when Rylee Bowen will commit?